Topic: SMBX(any version) can now be played online using Parsec! SMBX(any version) can now be played online using Parsec! Topic: How to detect if an NPC is being held by the player? And when it hit the ground? How to detect if an NPC is being held by the player? And when it hit the ground? Topic: How to make separate coinCount for each player? How to make separate coinCount for each player? Topic: How to change the opacity of a npc? Re: How to change the opacity of a npc? Topic: Where could I find a SMBX 1.4.3 tutorial? Re: Where could I find a SMBX 1.4.3 tutorial? Thanks for this! It is going to help a lot of people! If you want, I have a Great tutorial on how to create Toad Houses with the new features in 1.4 for Projects and stuff. You can check it out here: http://wohlsoft.ru/forum/viewtopic.php?f=58&t=1109 I already read your tutorial, and it is great! Yoshi021 wrote: Try using the nogravity flag. After doing that I also got a runtime error 6: overflow . 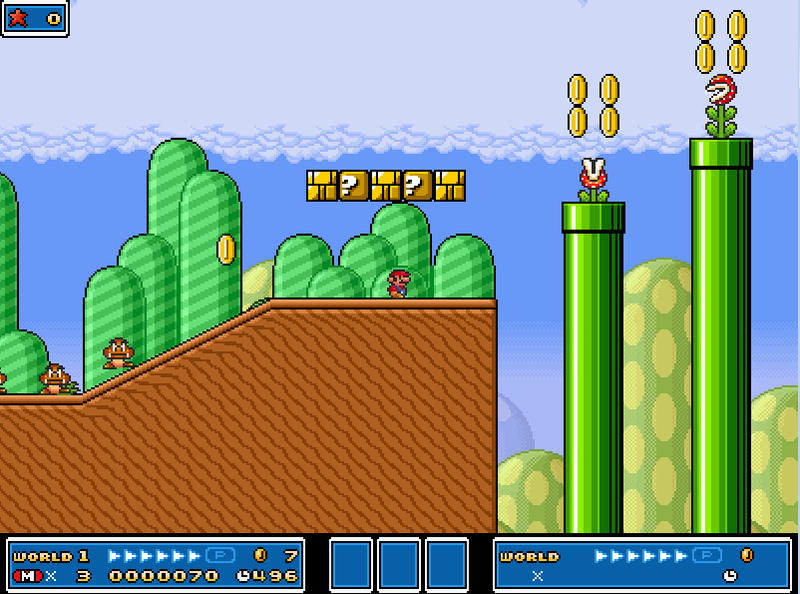 How to make diagonal shooting cannons like the one in SMB 3? What is the measurement unit for the angular speed in LSpin(layerName, cx, cy, angularSpeed)?